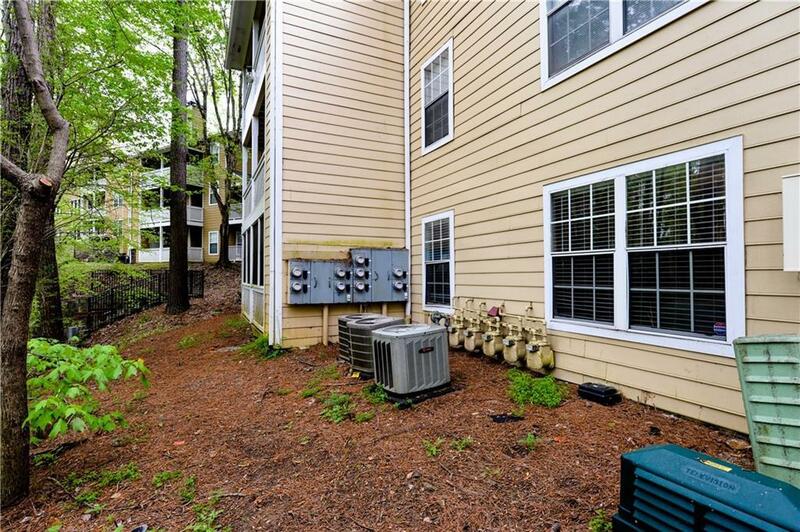 Secluded corner end unit with private entry in East Cobb & top school district! 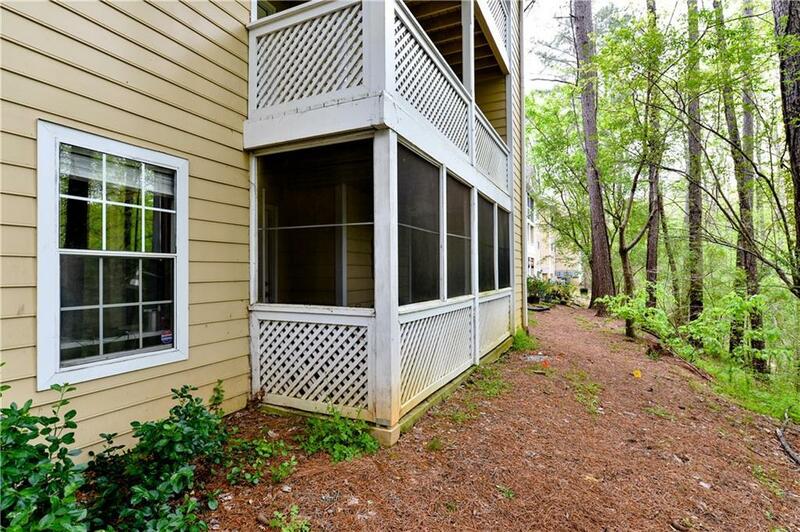 Located in the back of the complex with private wooded views, enjoy the screened in patio with slate tile floors. 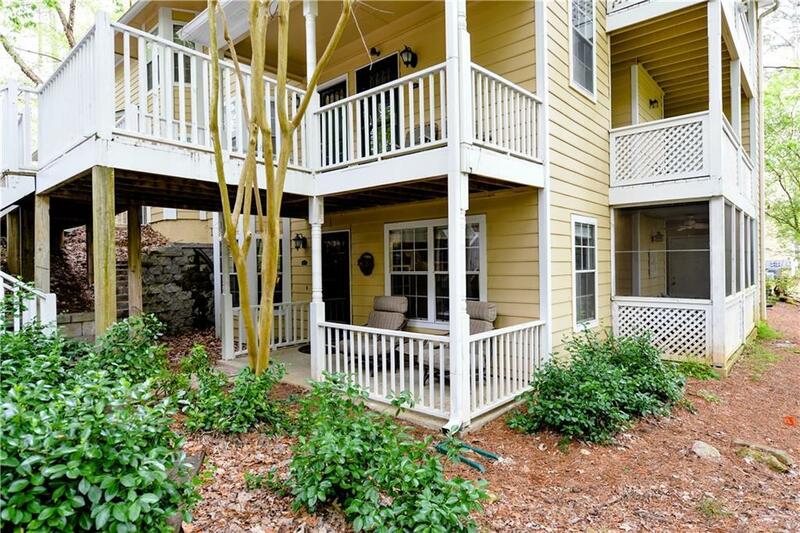 Rare lower level end unit with BONUS den and french doors. Hardwood floors, granite counter tops, stainless steel appliances, breakfast nook & formal dining area with view of the fireside family room. Upgraded tile shower & fixtures in master & secondary bath. 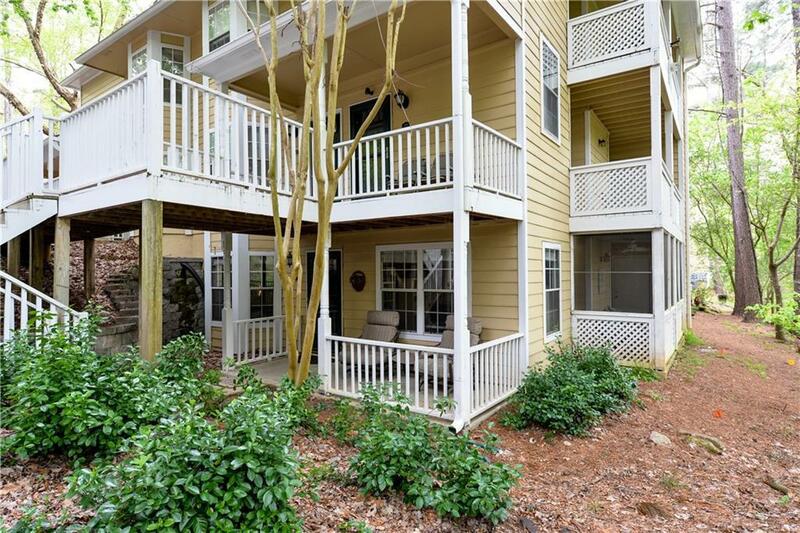 Walk to Chattahoochee River Nat'l Forest park & close proximity to 400 & 285 and the BRAND NEW Braves Stadium!